Kara and Alex return home to Midvale, where they remember a painful memory of a childhood friend's death and the events that solidified their bond as sisters. Last edited by GateWorld; November 25th, 2017 at 07:53 PM. After this episode, does anyone not think that Alex and Kara are the next pairing we will see? Reply back after you watch it.. =) I hope I'm wrong, I'd rather not have the show focused on shipping, but it sure looks like that's the way they're going to go. Not how I would have phrased it, but that is one of the more outrageous "fan" theories I've ever heard. Adopted or biological, it would still be incentous. Anyone else feel like they would have prefered "Midvale" as a TV show instead? Anyone? I really liked it and couldn't help but think of the possibilities. Yes! 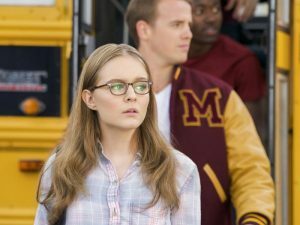 All during the episode I was thinking, "Well this is the show I'd rather be watching ..."
The actress who played young Kara was great. It speaks!!!! I thought you used your other account for this? Personally, I think part of it for me is that I did (in the end) enjoy smallville. And in another way, I feel that this season is what Supergirl should have started like. The archs explored here should be what we saw in season 1. Something about her life in Midvale, a more subtle baddy that slowly gathers our interest without much exposition. A "baddy" that serves to antagonize us and the hero.